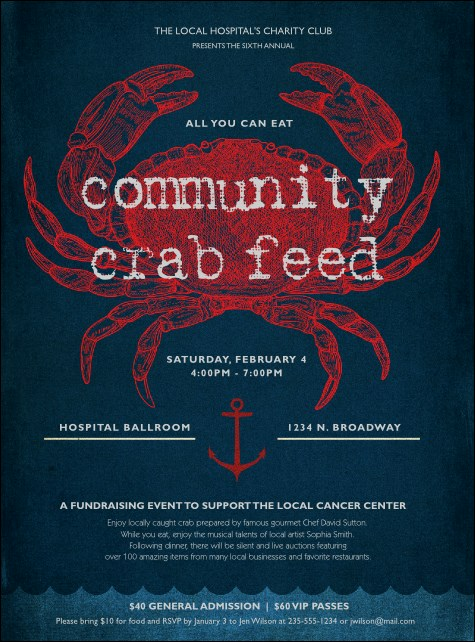 Hook your ideal ocean-loving crew with the Crab Dinner Flyer. A grand, elegantly designed crab in claret dominates and coordinates well with the sapphire setting, shapely waves and aqua border. Sixteen lines of white type on this template get all your info across clearly. The right flyer awaits you at TicketRiver.com.au!